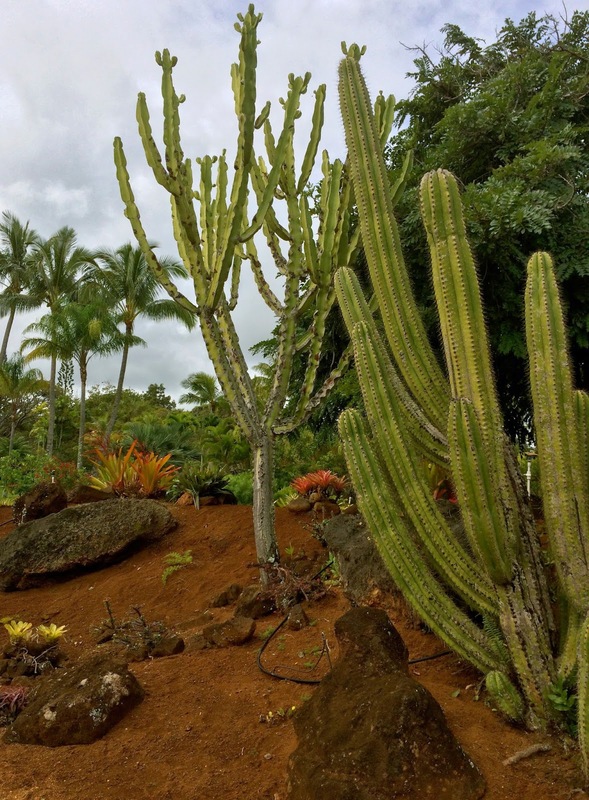 About five hours before boarding the plane back to Seattle, we made an impromptu decision to tour the gardens of Na 'Āina Kai. 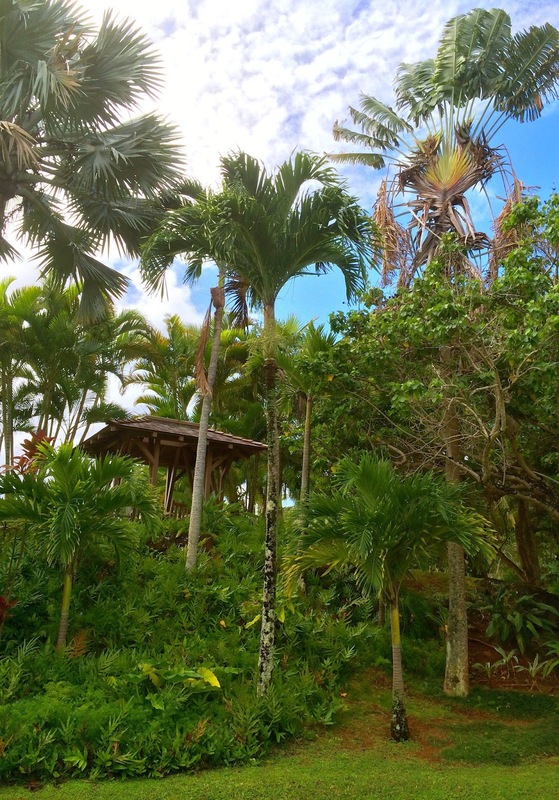 This huge botanical garden and hardwood tree farm, formerly a private estate, spans 240 acres on the northeast coast of Kauai. To begin our tour, we loaded onto a golf cart and drove to a meadow flanked by various species of acacia, albezia and eucalyptus trees. I noticed a popular way to grow orchids in Hawaii is to tie one to the trunk of a tree with green horticultural tape until it anchors its roots around the tree. 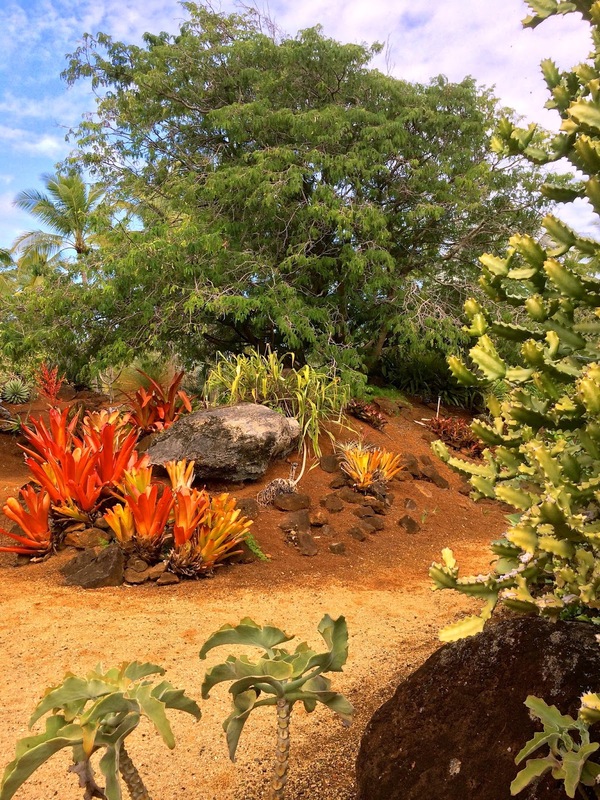 In this area however, both orchids and staghorn ferns grow naturally on the trees and rocks. In the picture below, you can see a group of small orchid seedlings just starting to grow. Here is a single naturalized staghorn fern growing on the side of a tree. A growing family of staghorn fern sporelings growing on the side of a rock completely on their own ambition. No green horticultural tape in sight. 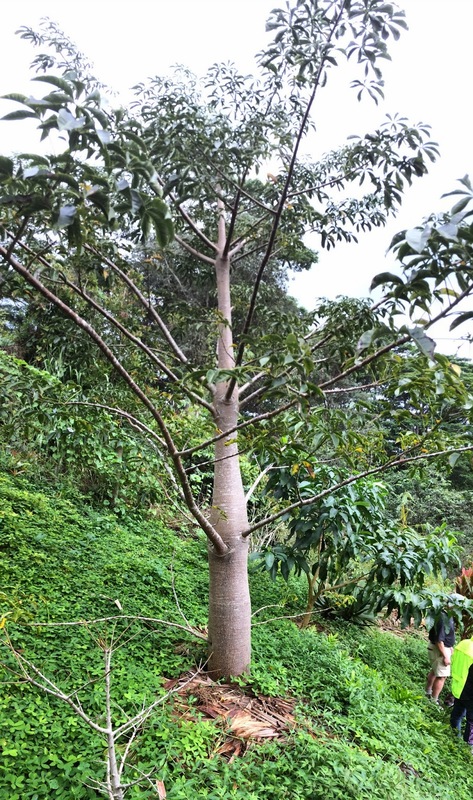 Ficus benjamina, one of the most common houseplants in the US, grows into an enormous tree in the tropics. Numerous bronze statues blend into the surroundings around the garden, adding an imaginative touch to the garden. A very rare sight in Hawaii: deciduosity. A lone starfruit waiting to be eaten. 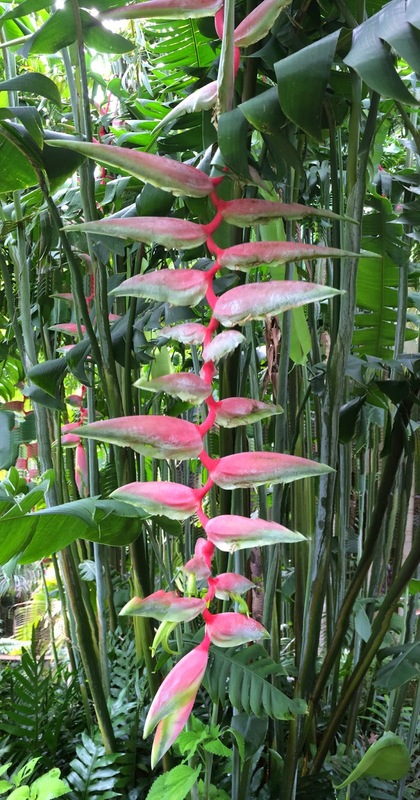 This next plant had me drooling. Our entire tour group walked right past it without giving it a second glance. I had to stop the tour and ask our guide what it was. He called it a Hale Koa plant. I took note, figuring that would be enough to go on to find its real name when I got back home. After days and days of fruitless internet searches, I had an a-ha moment: I'll just e-mail them and ask what it is! 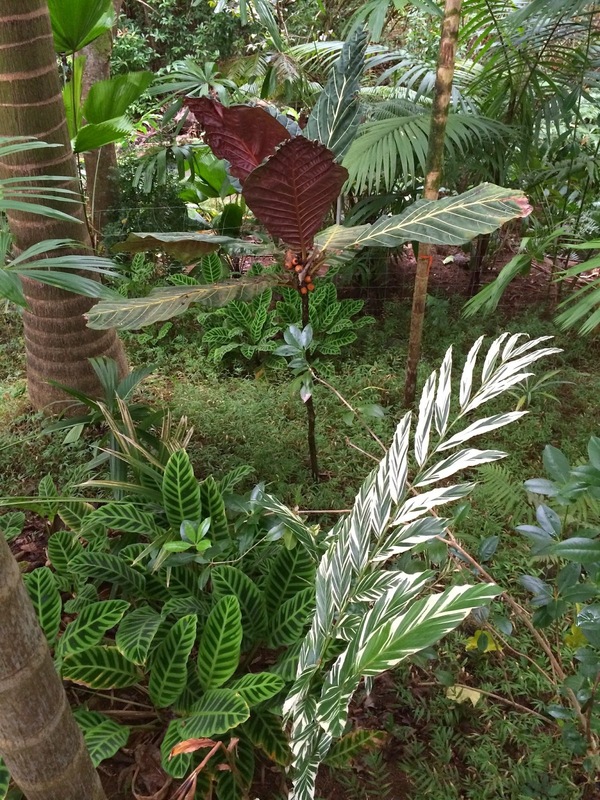 As it turns out, it's not a Hale Koa plant at all. I don't even think there is such a thing. Does this look familiar all you hardy schefflera connoisseurs out there? Yes, it's indeed some kind of schefflera. The folks at the garden replied back and said they grew it from seed, but they aren't quite sure what it is either. 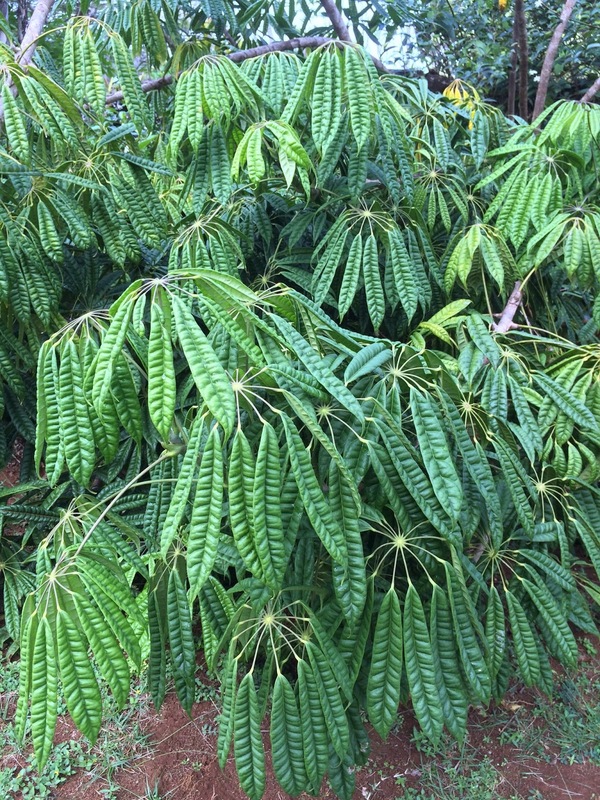 It might be a cross between Schefflera taiwaniana (I can definitely see that) and Plerandra elegantissima (formerly Schefflera elegantissima). If that is the case, it would likely have some hardiness to it since S. taiwaniana can handle subfreezing temperatures. Whatever it is, it's beautiful. Considering the wettest place on earth is only about 10 miles away, they had an impressive desert area. This was pretty funny. Here is the front entrance to the house. 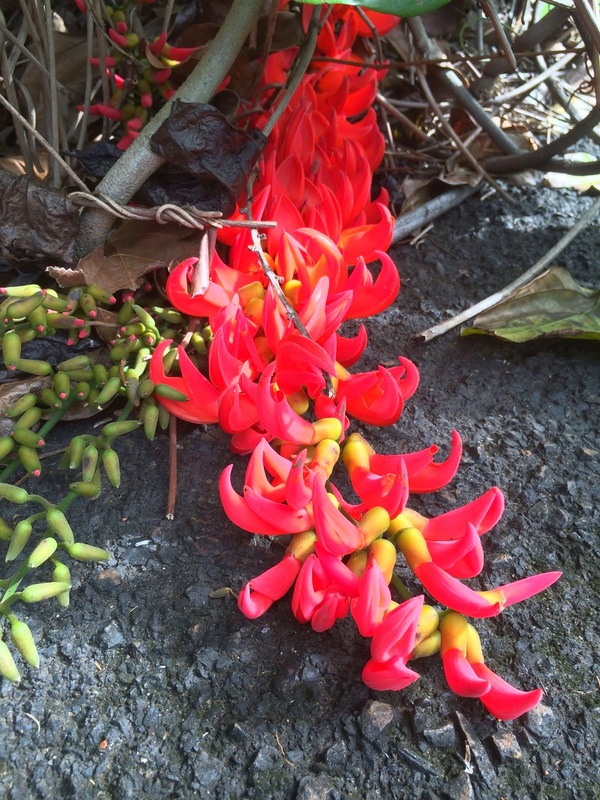 They must have had some gripe against tall people because this vine (Mucuna bennettii aka Red Jade Vine) is trimmed to about four feet off the ground. Either that or Willy Wonka lived here. There were only a few blooms when we were there but apparently this vine can become almost completely covered in flowers when it's at it's peak. We weren't allowed to go swimming. If I were to live in Hawaii and build a swimming pool, it would look something like this. That does if for Part 2. I'll be doing a few more posts on Hawaii - there's just so much to cover!! 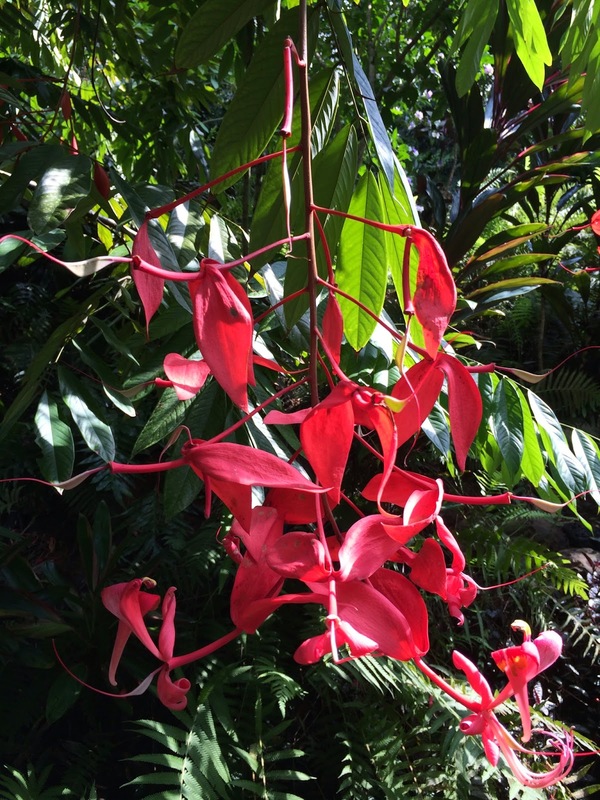 During our week in paradise, we visited two botanical gardens. 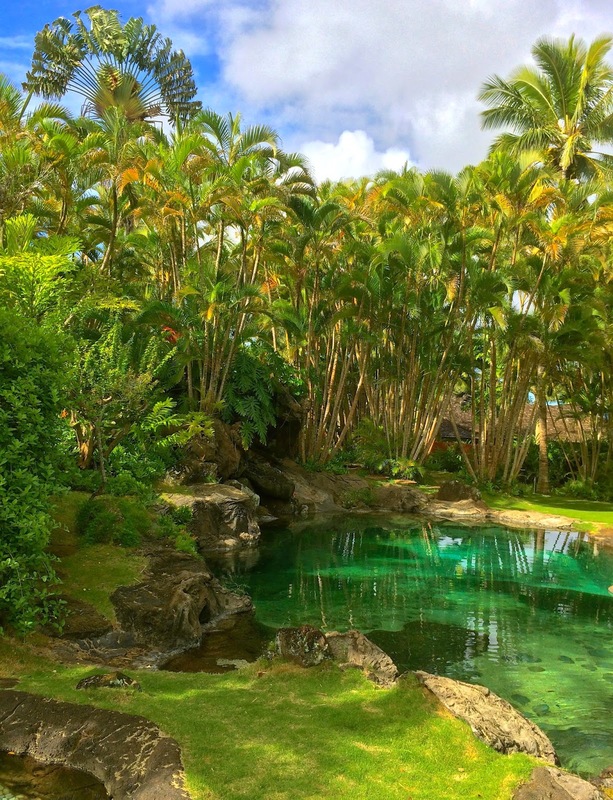 The first one was just outside of Hanalei (no relation to Puff the Magic Dragon by the way) named Princeville Botanical Gardens. It was planted fairly recently in 2001 but easily looks like it has been there twice as long. Like any respectable botanical garden, a river runs through it. Throughout the three-hour guided tour, samples were placed in bags next to selected fruit trees for us to try. Below, our tour guide is opening one of the bags. Inside were things like apple bananas, orange slices, cocoa nibs, longan (dragon eye fruit), and other odd tropical fruit. 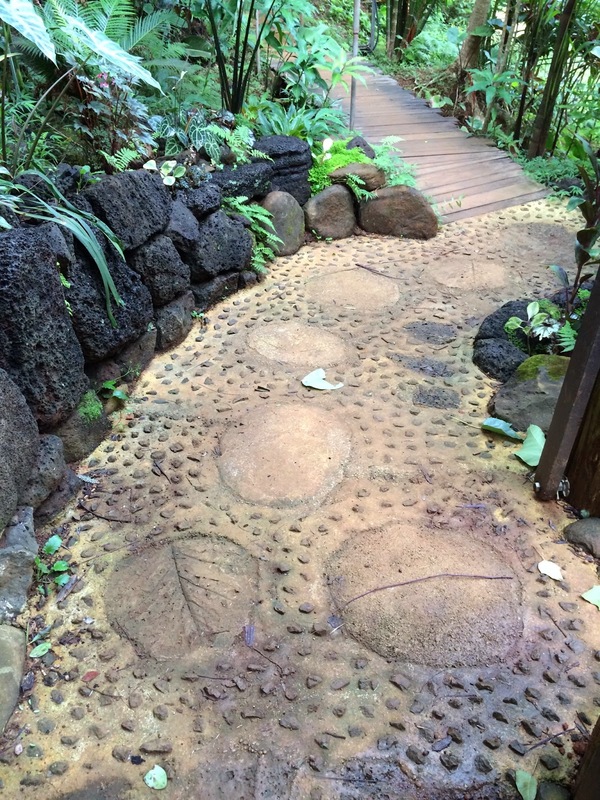 Hawaiian horticulture is slightly confusing. 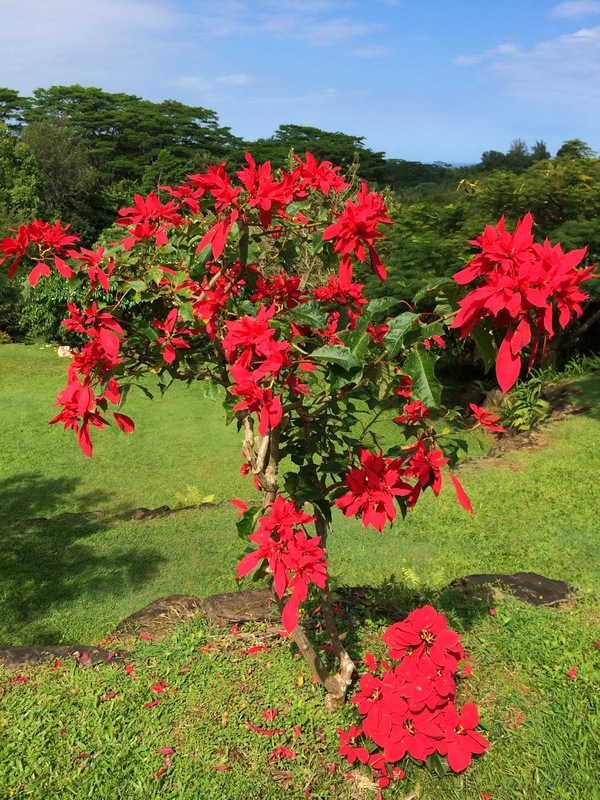 There are three names for every plant: the common name, the botanical name, and the Hawaiian name. 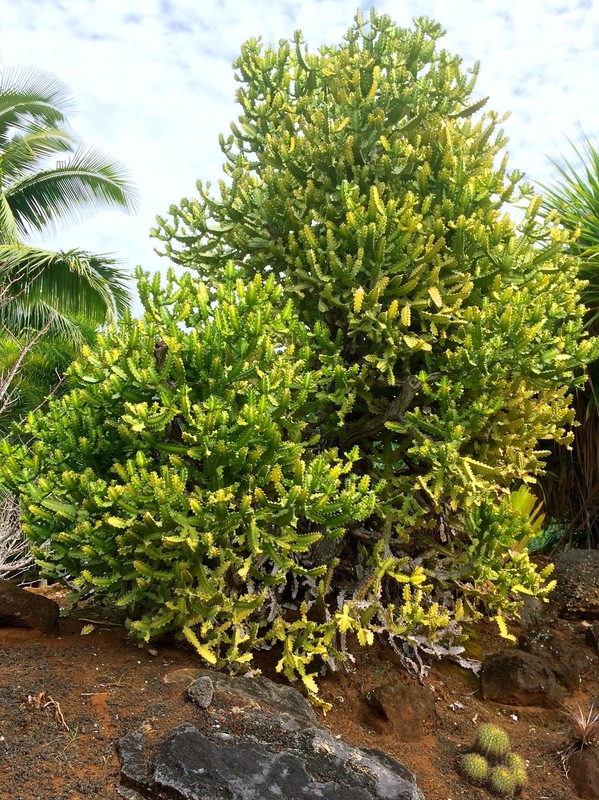 The screw pine (Pandanus tectorius), for example, in the picture above is known by the Hawaiians as a Hala tree. 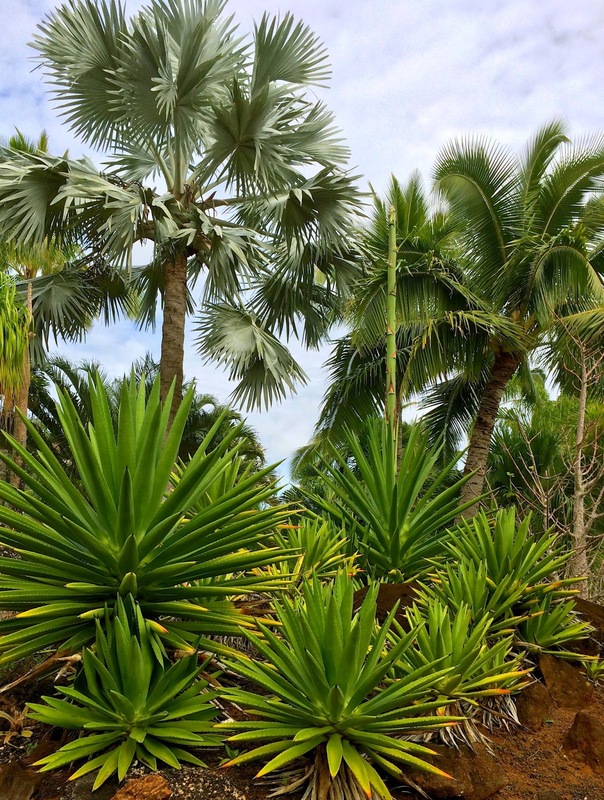 Plants that were originally introduced by the Polynesians hundreds of years ago are called canoe plants (since they came over in canoes) but these are often considered Hawaiian natives which they really are not (Cordyline fruticosa or Ti plant is an example). It would sure be nice to live in a place that never drops below 50 degrees. No hardiness zones to worry about. 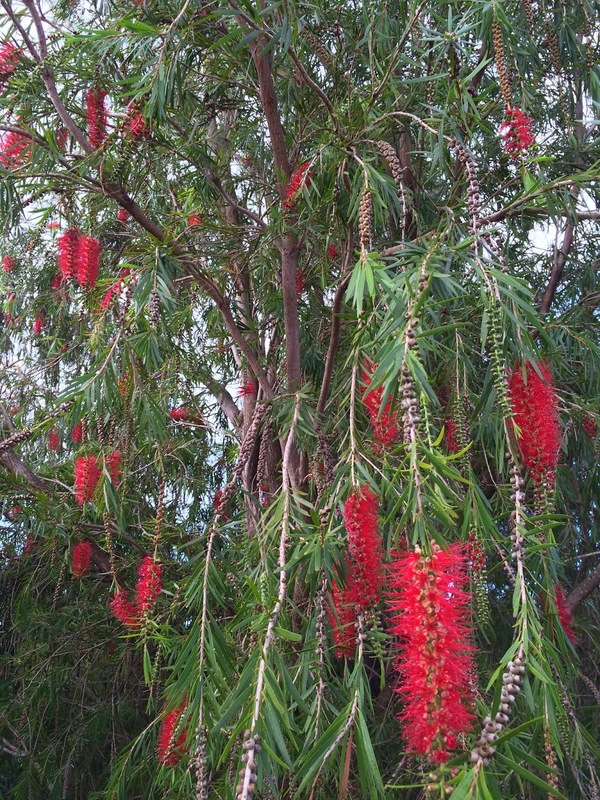 The bottlebrushes grow into trees and bloom in the middle of winter. The fluorescent orange rhododendrons were pretty amazing too. Speaking of orange, look at this orange tree! I should have asked what they used to fertilize it. Hoffmannia arborescens was new to me. 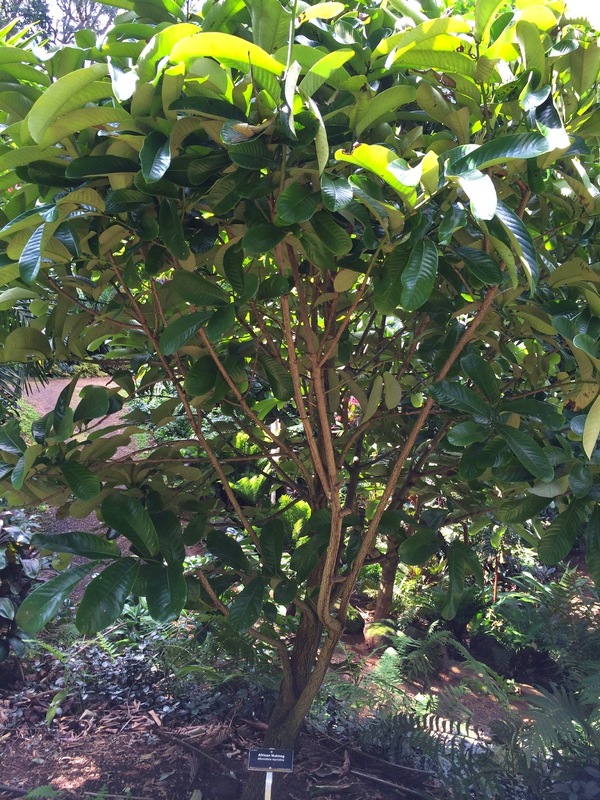 I thought it might be a type of fig but it's actually in the coffee/gardenia family. This area is going to become part the garden in the future. 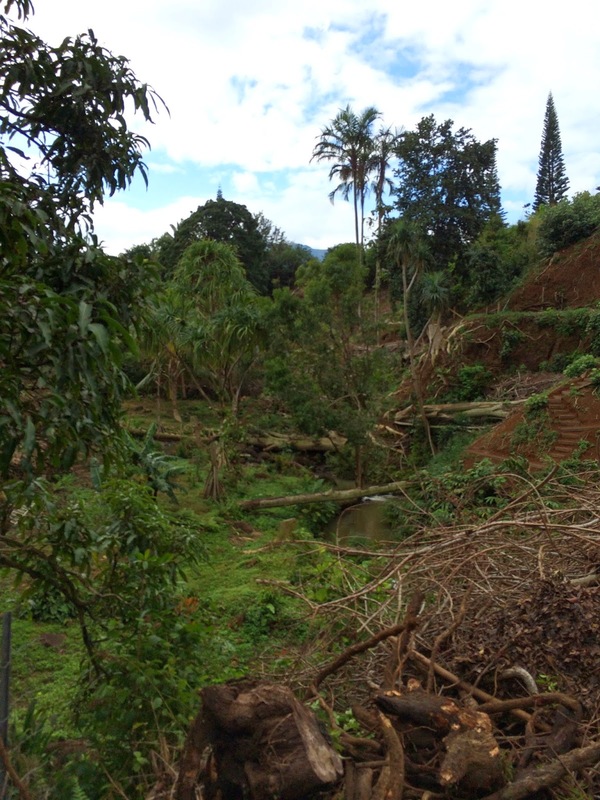 They are currently in the process of clearing out all the invasive vegetation. 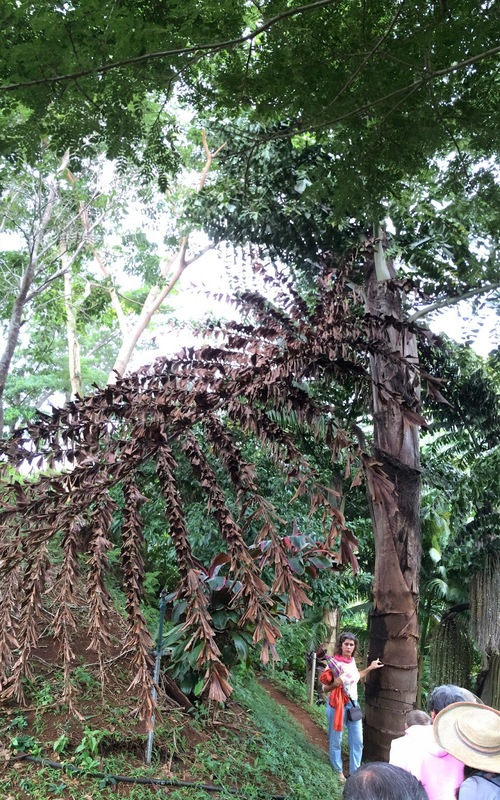 This fishtail palm (Caryota gigas) blew my mind. It's hard to grasp the size of it from the picture. The dead frond that is falling off was about 20 feet wide by 40 feet long! Oh, and it's only eight years old. Solandra maxima or Cup of Gold looks like a lily but is actually in the nightshade (tomato) family. It has a similar smell to Angel's trumpet (Brugmansia). A small Baobab tree. It will put on a bit more bulk when it reaches maturity in 2,000 years. Another one that looked like a herd of giant caterpillars. This is what a poinsettia looks like when it's not in the process of dying on the mantle in the living room during Christmas. Halfway through the tour, they had a chocolate tasting. 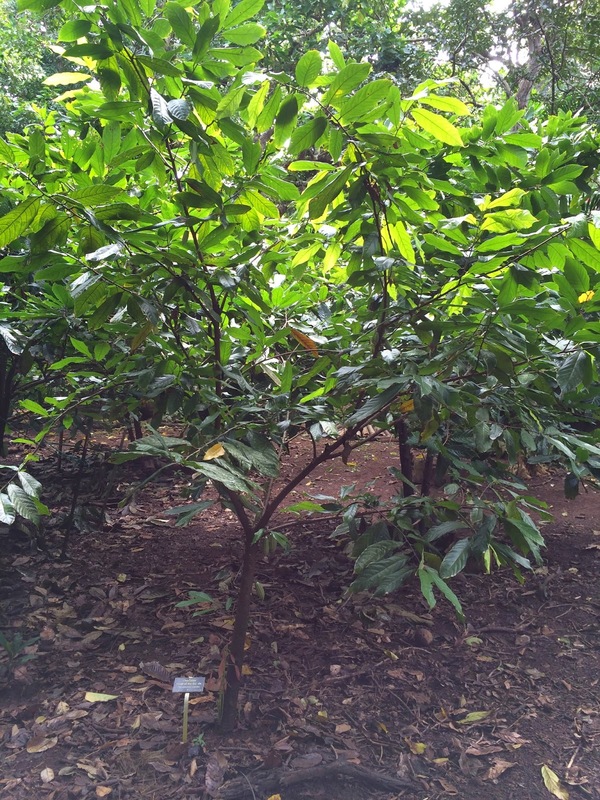 They make their own chocolate from the trees growing in the garden. Here is one of their chocolate trees. 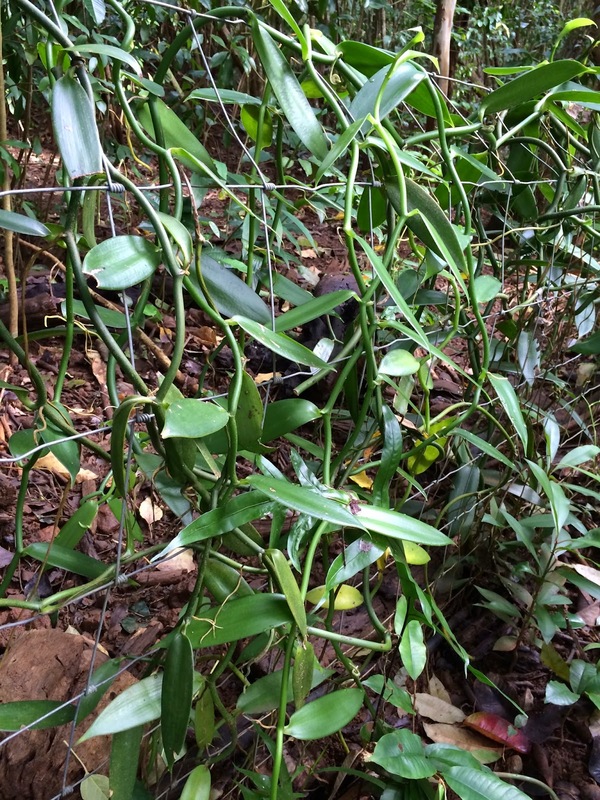 A vanilla orchid unfortunately not in bloom. A nutmeg tree unfortunately not in nut. Pride of Burma - the floral equivelant of a chandelier. 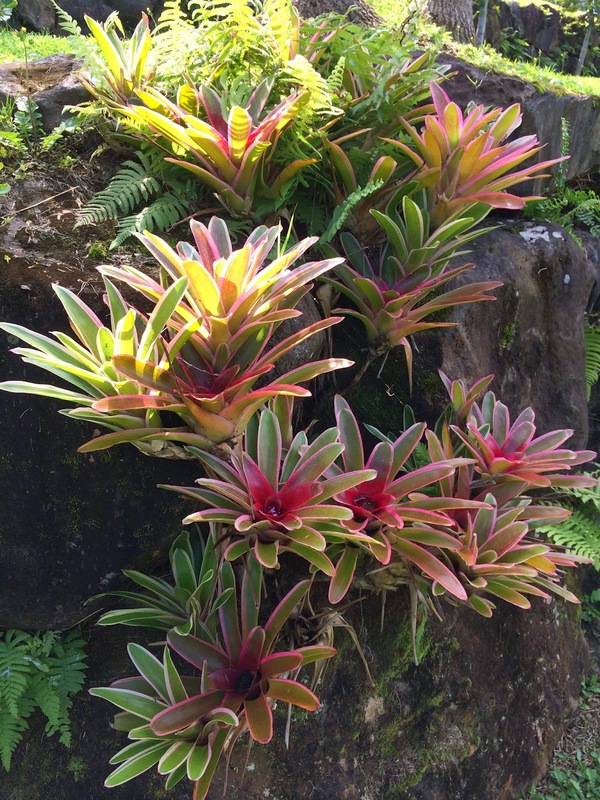 Bromeliads growing happily in a rockery. I could go on but I have to end at some point so that does it for Part 1. 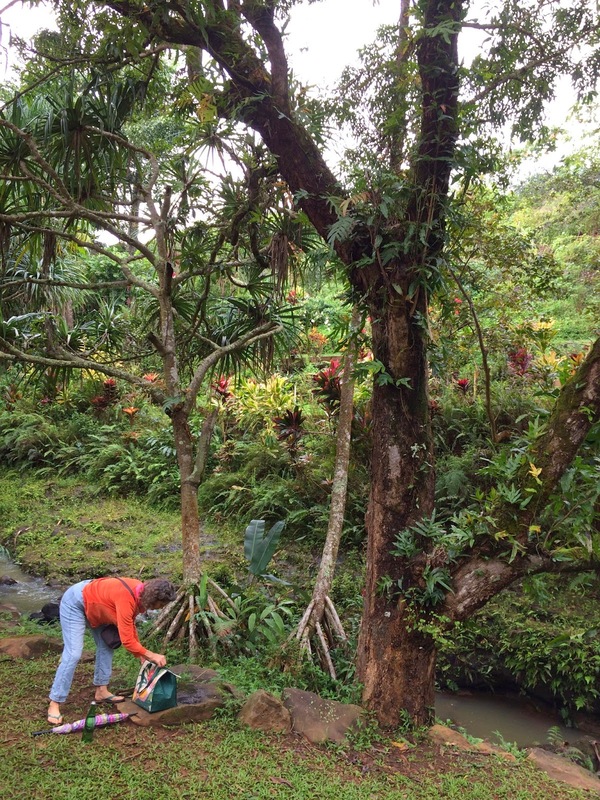 Stay tuned for Part 2 where we will travel to the gardens of Na 'Āina Kai. 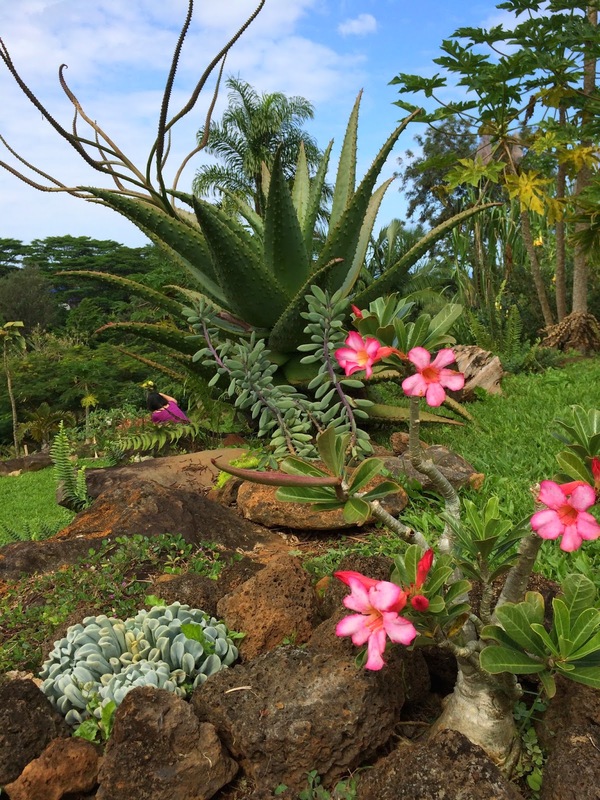 A desert rose (Adenium obesum) and giant aloe just out of bloom.